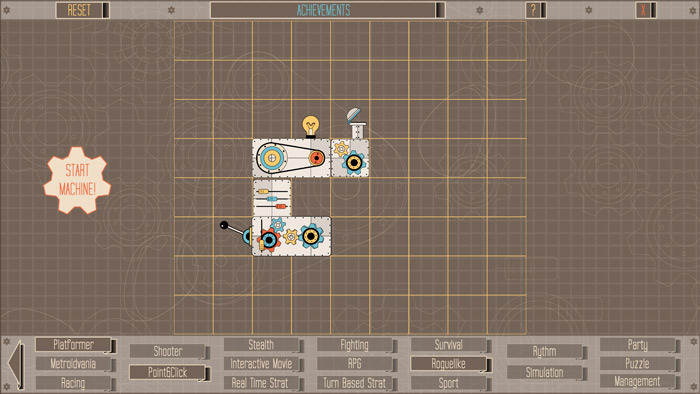 Super Fancy Factory Mania is a game where you play as a video game developer, however rather than dealing with the intricacies of making a video game from scratch all you need to do is build a machine that can then make the game and churn them out for you. 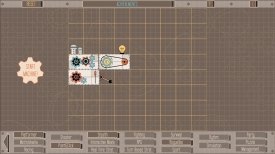 First off you have to choose which type of game engine you want to use, then what view the game will be performed in and then the genre of the game and after that you can decide the style of art work that you want your project to be in, and any extra features that you may want to add, then you simply click start machine and it will start to produce your computer game. 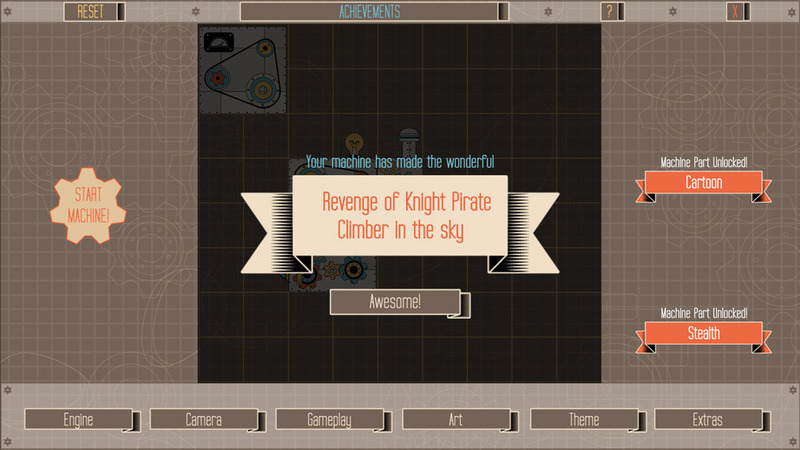 The first attempt that you play you will have very limited options but the more games you produce the more options that will unlock for you meaning you can then create more varied and different computer games. Super Fancy Factory Mania is a very simple game and should please younger gamers however there is no tangible objective or reward to playing the game other than a screen telling you the title to your "Awesome" game and it can become bland very fast, there is no further details of the success of any of the games that you produce and therefore it all feels a little pointless, however the bright colors and incredibly simple game play should please young gamer. 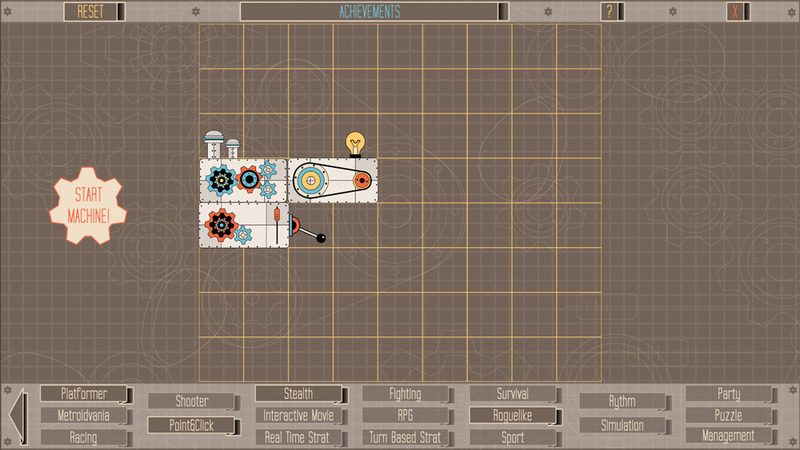 You can download Super Fancy Factory Mania here for free.